CONGRESSMAN ALLEN WEST: THE MEDIA HAS EGG ON IT’S FACE, THEY’RE REPEATERS NOT REPORTERS……… – The Tundra Tabloids……. The Left has a meltdown every time this Reaganite, red blooded American conservative opens his mouth. Good. We need more articulate, well educated conservative politicians speaking out and calling it like it is. If you’re for government wealth distribution in place of the private sector, massive welfare entitlements and government run healthcare, the progressive tax code system, and worry about how much wealth another person may or may not have, then you buy into Marxist theory on some level, you’re a socialist, either willingly or by sheer ignorance because you’ve been dumbed down. Here’s a breath of fresh air and a major smack upside the heads of the socialists in U.S.Congress, the Oval office and in the Supreme Court. You can’t tread on the U.S. Constitution and think that you’ll get away with it, without at least being called out on the carpet. Congressman West convincingly does just that. The thing is that, incredibly enough, that the media in their search to try to condemn me or attack me or bring up some time of sensational story, didn’t do their due diligence, didn’t do their research. As you said they’re just repeaters, they’re not reporters. So now they have egg on their face because they’re not arguing the point that I brought up. They’re arguing the fact that they just don’t like that I brought it up. Well, you know, tough on them. I’m going to continue to talk about the truth and I’m gonna expose them for who they are because I’m sick and tired of every time you turn around on the House floor, they want to say it’s the Tea Party radical wing of the Republican Party when the Tea Party is just a constitutional conservative grass roots movement that believes in our economic security, our energy security, our national security. And what American would not want to believe in that? 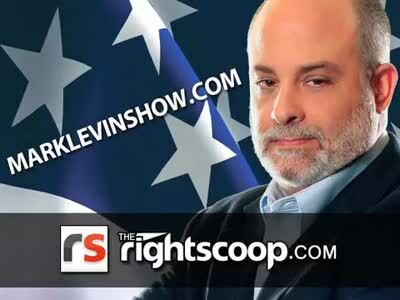 Previous Post Previous Post MARK LEVIN ON NEIL CAVUTO: OBAMA IS THE ANTI-REAGAN………. Next Post Next Post THE ECONOMIST OFFERS TEACHABLE MOMENT IN ITS OFFENSIVE ‘SKINTLAND’ MAGAZINE COVER ……..
Wouldn’t it be great if the GOP had a candidate like Allen West to put up against Obama. He puts to shame all the hand wringing, limp wristed Republican politicians who are too concerned about their image and need for approval from their so-called peers.